Beverly Plaza Hotel, located on Phratamnak Road in South Pattaya, is just a 3 minute walk from the bustling Walking Street. Famous tourist places of the city, such as the Ripley's Believe It or Not Museum, Art in Paradise Museum and Mike Shopping Mall are accessible within a 10 minute drive from the hotel. Holidaymakers can reach the property in about a 45 minute drive from U-Tapao Rayong-Pataya International Airport. Featuring contemporary d cor and offering beautiful city/pool views, the hotel's 192 spacious rooms and suites make for a pleasant stay. Modern amenities in rooms include satellite TV, direct dial telephone, mini bar, refrigerator, tea/coffee maker, work desk and free Wi-Fi access. At leisure, guests can relax on sun loungers by the outdoor pool or indulge in holistic Thai massages, offered on request. Equipped with latest audio-visual equipment, the hotel's stylish function room is ideal for hosting successful corporate meetings, seminars and private parties. Moreover, complimentary parking and Wi-Fi access are available for guests' added comfort. Open for breakfast, lunch and dinner, the hotel's restaurant serves a selection of flavoursome Chinese and Indian delights. In the evening, kick back with a sparkling drink in the relaxing ambience of the lobby lounge. Lip-smacking Indian curries, platters and biryanis can also be relished at Haveli Indian Restaurant, which is just 950 metres away. Moreover, the nearest McDonald's is merely an 8-minute walk from here. Explore the numerous shopping, dining and entertainment options at Central Festival Pattaya Beach Shopping Mall, only a 5 minute drive from the property. Deal Applied: MMTOFFM6A. You Get Flat INR 450.0 OFF! Deal Applied: MMTOFFM6A. You Get Flat INR 477.0 OFF! Deal Applied: MMTOFFM6A. You Get Flat INR 601.0 OFF! Deal Applied: MMTOFFM6A. You Get Flat INR 636.0 OFF! Deal Applied: MMTOFFM6A. You Get Flat INR 503.0 OFF! Deal Applied: MMTOFFM6A. You Get Flat INR 530.0 OFF! Deal Applied: MMTOFFM6A. You Get Flat INR 671.0 OFF! Deal Applied: MMTOFFM6A. You Get Flat INR 707.0 OFF! Deal Applied: MMTOFFM6A. You Get Flat INR 556.0 OFF! Deal Applied: MMTOFFM6A. You Get Flat INR 583.0 OFF! Deal Applied: MMTOFFM6A. You Get Flat INR 742.0 OFF! Can use an extra bed per night for THB 650. Just 100 m away from walking street. Wonderful location. Many Indian restaurants just adjacent to Hotel. I would recommend this Hotel as this was my 5th stay in the same Hotel because of its location and wonderful rooms they provide. They upgraded their rooms. Breakfast in Indian/continental both. Buffet lunch and dinner also available at just decent price. It was nice location great staff but Nepali Saif was not good, food made by Nepali Saif. Very mice location. Nice room. Friendly staff. Good breakfast. The Hotel was neat and clean. Staff was very helpful and took care about every thing. I read that they treat Indians badly but that was totally untrue. Everything and every charge explained to me at the time of check-in. All charges are clearly explained and that is general practice in Thailand. Next time I will again book this Hotel. Best part is that it is at walking distance from the walking street. But it has a lot of leering Indian crowd which made us, 2 girls, quite uncomfortable. Indian breakfast was great. Swimming pool was clean but probably had too much of a chemical making it very saline. Room was very spacious. Good experience. Nice Hotel and very near to walking street. Hotel rooms and staff too good. Hopeless Hotel. Poorest Air conditioner. Cockroaches seen in the dining hall and kitchen. Unhygienic food being served. Very nice Hotel staff are very friendly we full enjoyed very nice Hotel. Beverly Plaza Hotel on of the famous Hotel at Pattaya. Location near waking street and also indian restaurant. Breakfast not bad just ok. I'm interest to stay, swimming is good. Only one minus. Language problem to room service, but in reception, speaking good english.
" Beverly Plaza Hotel, located on Phratamnak Road in South Pattaya, is just a 3 minute walk from the bustling Walking Street. Nice Beverly Plaza Hotel Pattaya in south Pattaya. It's near to walking street. Bali pier is at walk-able distance where the boat to coral island operates. Breakfast buffet is good. Some Indian food is there location is little far away from north Pattaya bus station. You can get bath bus for 50 tub from bus station to the Beverly Plaza Hotel Pattaya for inward travel only. Reception staff have to improve hospitality. Deal your guest warmly. Apart from that everything is fine. Hotel is located just few meters from main road. There are many narrow roads and streets, so make sure you don't go in the wrong way when getting back to the Beverly Plaza Hotel Pattaya as every street looks same especially during night. Local people don't speak in English and hardly see a cop there. Location : Walkable distance to many happening places like Walking Street, beach, Ripley's Believe it or Not etc. Good for couples. Generally tour package vendors (eg : yatra. Com) prefer this Beverly Plaza Hotel Pattaya for their customers . Facilities : Plenty of Indian restaurants in Beverly Plaza Hotel Pattaya and nearby. In room and massage services are available in Beverly Plaza Hotel Pattaya. Tour packages are also available . Room/Facilities : Have booked King Bed, however, they provided 2 double beds. They said they are out of king beds. Would appreciate if they can provide the room which they are supposed to provide. Also, AC and shower needs improvement . Cleanliness/Value for Money : Rooms are well maintained and its worth for this price. Everything is good. Enjoyed my stay. Very good location and staff service. Loved the Indian food at their andaaz restaurant. Limited variety but very tasty north Indian buffet. Feels safe in the Beverly Plaza Hotel Pattaya. Lot of Indian guests mostly from southern part of the country. Concierge service available which is reasonably priced and you can book for sightseeing and activities. Was allowed a late check-out of one hour only. But appreciate as it is business. MMT has great offers on this Beverly Plaza Hotel Pattaya so good job team. Hotel is on walking distance to. Rooms were very neat and clean. However little bit of courtesy to guest by Beverly Plaza Hotel Pattaya staff may create a big difference. Rents were same for single or 2 adults booking for one room, however Beverly Plaza Hotel Pattaya staff was charging 300 baht extra for any walk in guest if you booked room as single. This must be mentioned on MMT app. If anyone would have known this hidden conditions then he would have gone for 2 adults booking for same room. Rest all is good. Hotel is very near to the famous walking street. And located in the midst of posh area surrounded by lot of Indian restaurants and massage centers. Inside the Beverly Plaza Hotel Pattaya itself there is a Indian restaurants. As there is some renovations going on it is always noisy. Bath rooms are always wet, no proper drainage system, water clogged. Ac was not cooling enough. TV channels are not adequate. Nice staff at reception. Breakfast was good. Good location, near walking street, pleasant stay. GOOD LOCATION, NEAR WALKING STREET, PLEASANT STAY . HOTEL STAFF COURTEOUS ENOUGH. GREETED & TREATED WELL. NEARBY ATTRACTIONS RIPLEYS, BEACH, WALIKNG STREET. Very nice Beverly Plaza Hotel Pattaya and warm welcome by staff cleaning services is also very nice Beverly Plaza Hotel Pattaya is located approximately near walking street and reception staff is very helpful, breakfast and food is very nice. Its good Beverly Plaza Hotel Pattaya for stay. Located just few meters away from all the major attractions of the Pattaya city, like walking street and Beach road. But still away from hustle and bustle of the city and other unwanted distractions. The Beverly Plaza Hotel Pattaya is clean and up to date with all the modern amenities that you would want for your trip. The staff is helpful and attentive. Great stay is sure for you. Best Beverly Plaza Hotel Pattaya at a nice location, good Beverly Plaza Hotel Pattaya staff, it was value for money. Thanks for Makemytrip also, rooms are good with all the facilities. 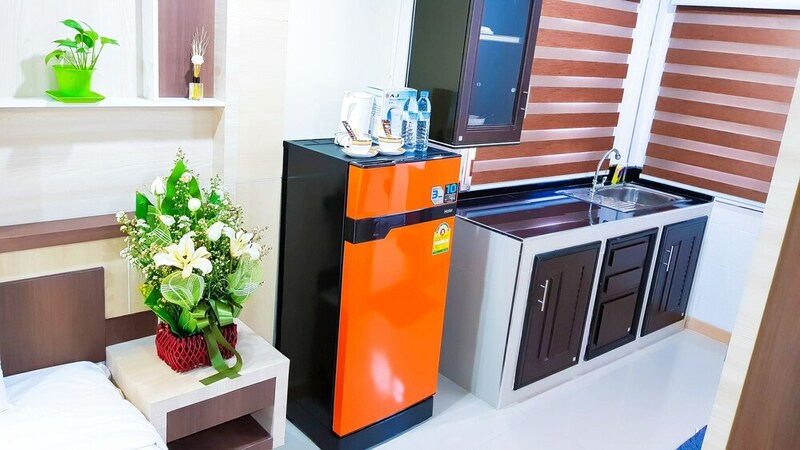 Hotel room and nearby areas are very clean, Beverly Plaza Hotel Pattaya staff are very cooperative, everything which you expect for a good Beverly Plaza Hotel Pattaya is here only. Average staying, food was good, WiFi was very slow. We booked for the city view room, but they provided us pool facing room. No water in the toilet on the check-out day. The Beverly Plaza Hotel Pattaya was going on with a maintenance issue, they never told us at the time of booking. It was too noisy due to maintenance. Best in Pattaya and near town. Best of beaches near walking Street. Overall best in all sectors. Service is awesome. I would recommend all my friend and relative family to visit Pattaya and specially to Beverly Plaza. Good stay and good environment, all was good. No everything was good and the staff hospitality is superb. Hotel is at prime location, very close to main attractions, just parallel to walking street so walkable at any point of time. It's a value for money, breakfast was good and an Indian restaurant at the Beverly Plaza Hotel Pattaya is a plus point.. Though a very old Beverly Plaza Hotel Pattaya and rooms! Near to walking street, clean and neat rooms, good food, 24 hours staff. Food was exceptionally good. Highly recommended for Indian food. I stayed here for 2 nights . .
Room are good but the beds are having wheels underneath that make you feel very uncomfortable. All the rooms are having same type of bed. Swimming pool is excellent. Hotel is walking distance to Pattaya beach and walking Street. Nice experience with the hotel. Nice experience with the Beverly Plaza Hotel Pattaya. Good envionment. Nice client handling. Spacious rooms with well appointed air condition. Clean toilet & accossrirs. Gust handling could little more courtious as it is said"customar is the king"
Bad service. They took extra charges. A good and well experience.. It's an easy place to reach every main tourist spots and well-maintained Beverly Plaza Hotel Pattaya everybody will love the staff behaviour. Moreover, it's a very cheap and best Beverly Plaza Hotel Pattaya. .. Superb breakfast.. Noisy room and staff is good working. Stayed for one night with family. It's a nice and clean Beverly Plaza Hotel Pattaya and walking distance from happening night life. The Beverly Plaza Hotel Pattaya has a swimming pool which was clean. Breakfast served was sumptuous and decent variety. Had a comfortable stay. Room was good for the price paid and service was attentive. Not wake up for breakfast. Good place for stay for Indian as Beverly Plaza Hotel Pattaya is more popular with Indians and Arabs. Room was clean but bathroom need upgradation. Food is good breakfast is well good services. WiFi is very bad A/c is not good. Very nice Beverly Plaza Hotel Pattaya .. Good swimingpool rooms are clean and OK and as far as location is concern will give full marks for location 5 mins away from walking street and tony entertaintment .. Nice food as well and staff is helpful. Location is awesome and stay is comfortable but Beverly Plaza Hotel Pattaya is a little old and need to update a lot of things. The breakfast good, Indian food and it's very close to walking Street a lot of Indian restaurant nearby. The Beverly Plaza Hotel Pattaya is excellent and has all standard facilities bat throw away prices. Best location is the key.